Brittany Aguilar giving one of her many winning serves. 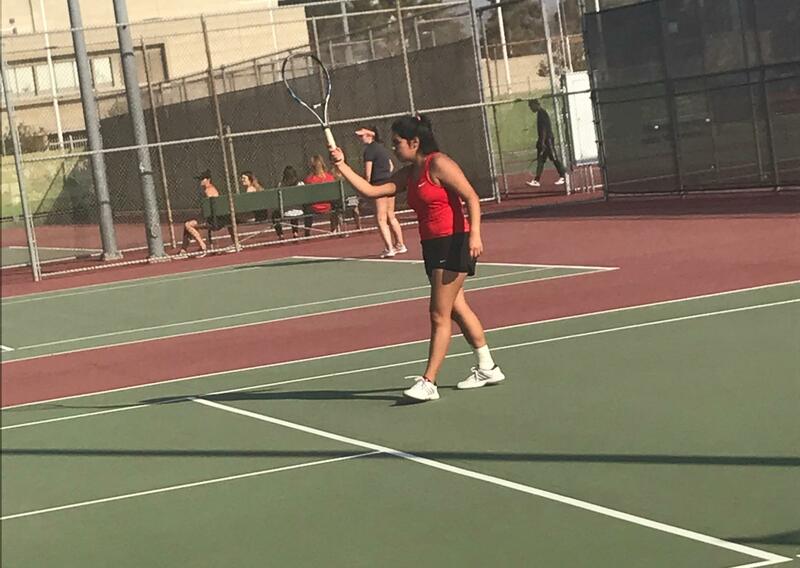 The Bakersfield College women’s tennis successfully defeated Victor Valley College on Feb. 6 with a score of 6-0 in the singles and 8-0 in the doubles. BC players Paige Darstein, Riley Tucker, Brittany Aguilar, Kaylee Defrees, Arianna Acevedo won against their opponents, and Serena Contreras won by default. 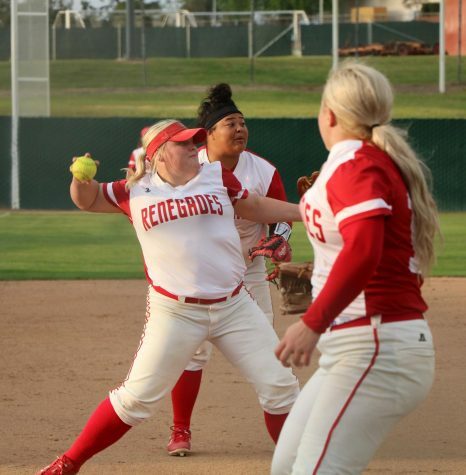 The Bakersfield College women’s tennis team will be playing at home once again on March 8 against Glendale Community College.